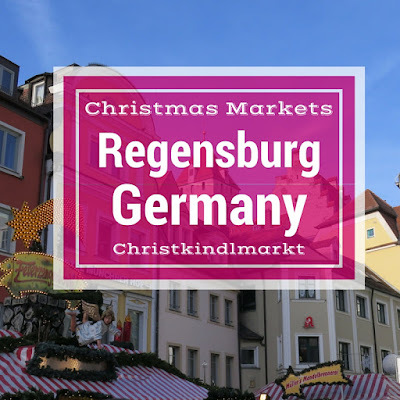 We combined our trip to the Nürnberger Christkindlesmarkt (Nuremberg Christmas Market) with a day trip to Regensburg. You can get between the two cities by train in about an hour. 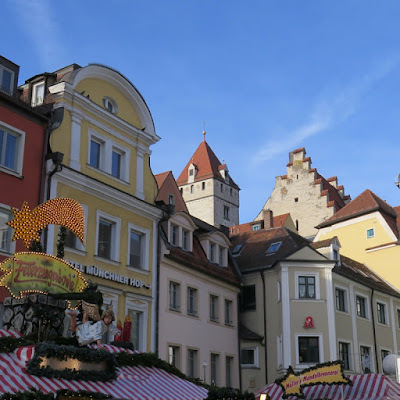 We found Regensburg to be a charming winter destination in Germany that totally exceeded our expectations. Here are some highlights from our visit. We debarked at the Hauptbahnhof and walked into town. 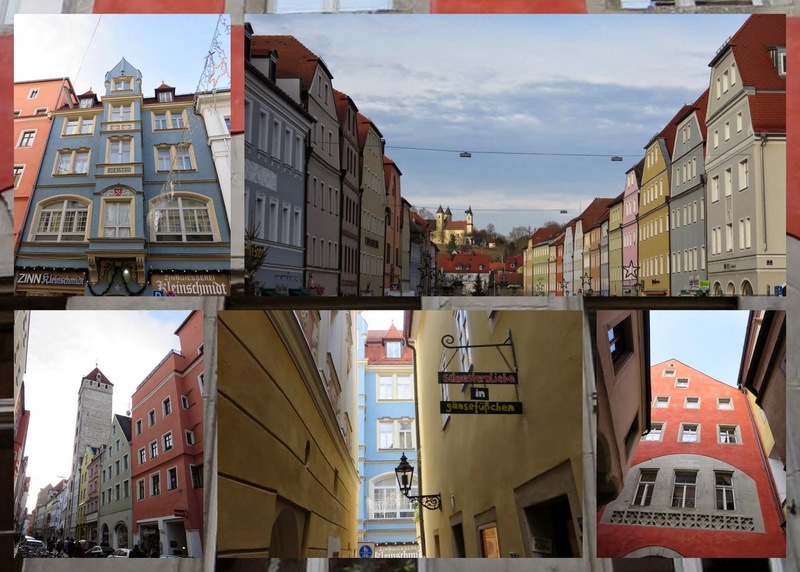 We were immediately impressed by the charming pastel facades in the old town. In contrast to Nuremberg which was heavily damaged by Allied bombing in World War II, Regensburg emerged mostly unscathed. The medieval core is a UNESCO World Heritage Site. 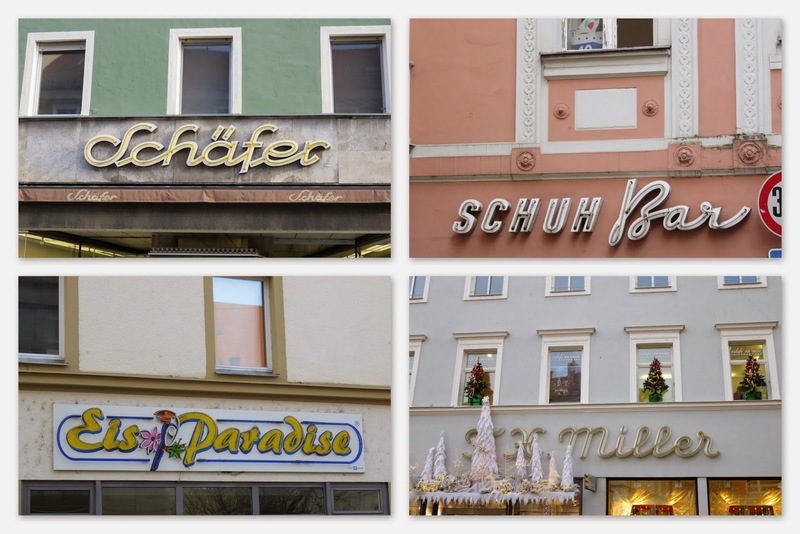 I also noticed the more-modern-than medieval neon signs which added an old-fashioned charm to the town. 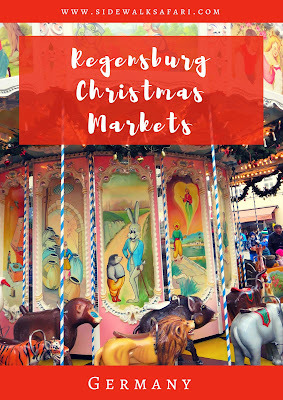 Germany in winter is synonymous with Christmas Markets and Regensburg is no exception. 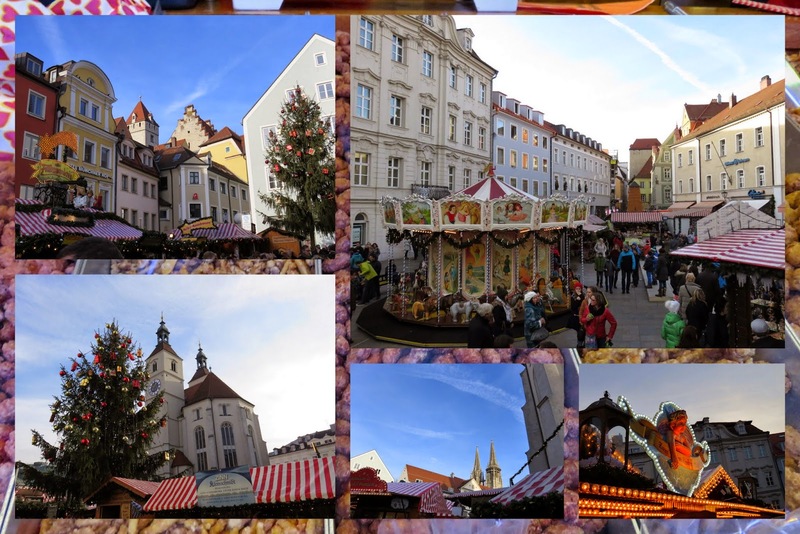 The market at Neupfarrplatz was compact but had everything you could possibly want: glühwein, crafts, mouthwatering sausages. 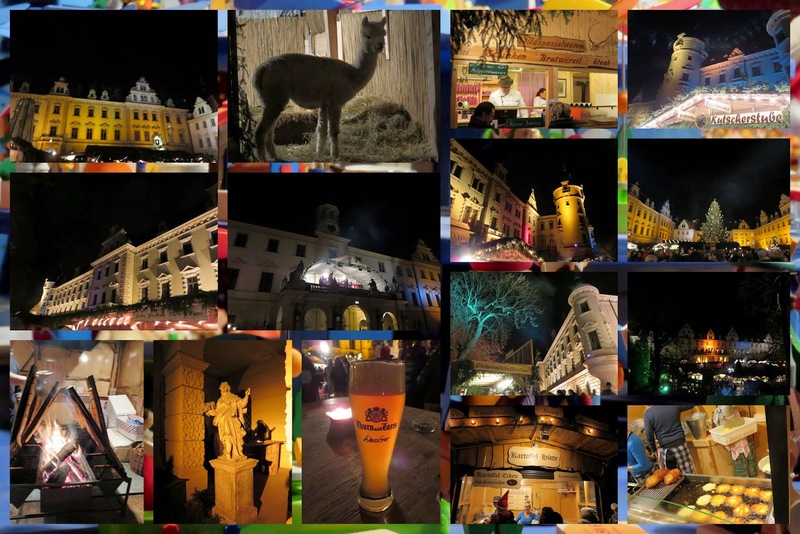 We visited a second Christmas Market in Spitalgarten. This one was located along the Danube River and seemed a bit more upmarket and foodie oriented. 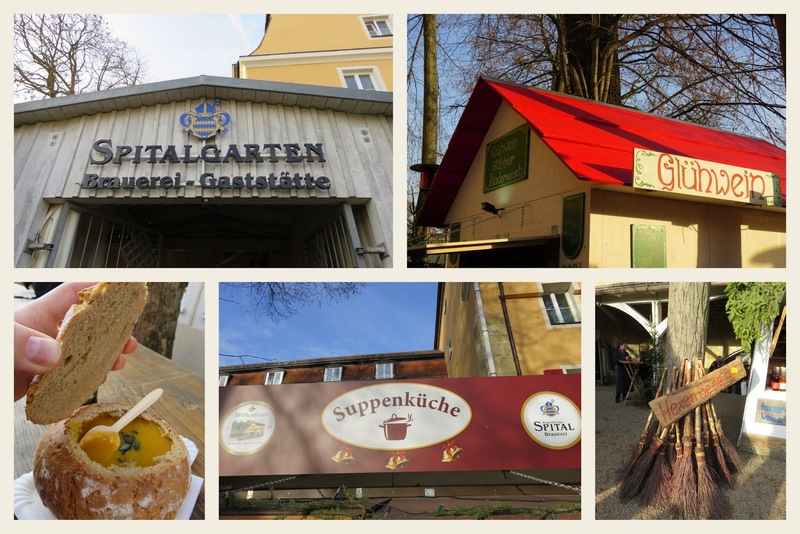 We tried some German craft beer and a bowl of pumpkin soup served in a bread bowl - a winning combination on a cold day. The Romantic Christmas Market at Thurn and Taxis Palace costs 8.50 EUR on weekends just to enter. I must say we had our misgivings because of this. Still, we'd heard great things about the market and decided to check it out. Despite the steep cost to entry, the place was still extremely crowded on a Saturday night. Now I understand why they needed to charge admission...the crowds would have been unbearable if entry was free. We sampled beer and potato pancakes in a regal courtyard before ambling about the atmospheric palace grounds. I've mentioned previously that we collect Christmas Market mugs. In fact, I'm drinking my coffee from one right now. I was excited to see something a bit different in Regensburg. 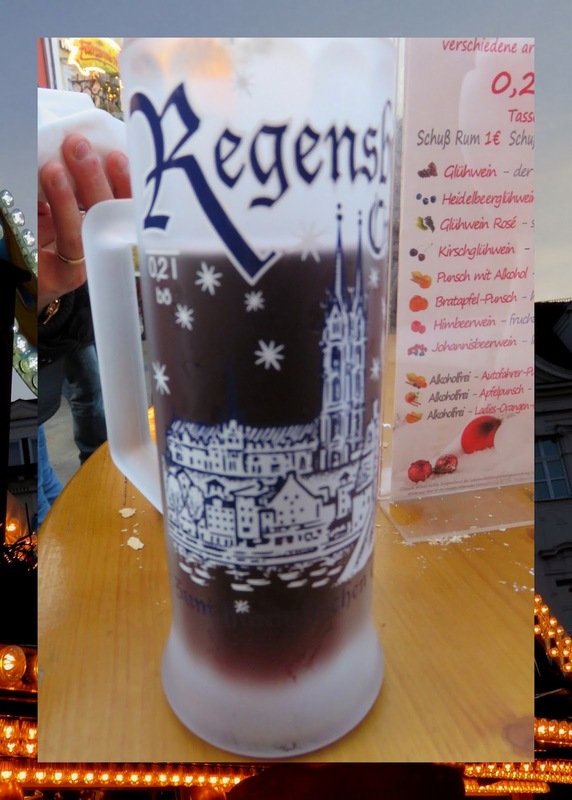 We were served glühwein in a local frosted mug. This souvenir will be perfect for sipping beer back home. 7. 1/2 Metre of Sausage! We've noticed that most German Christmas markets have their signature 'thing'. For Nuremberg it's 'prune men', lebkuchen, and Nuremberger sausage. 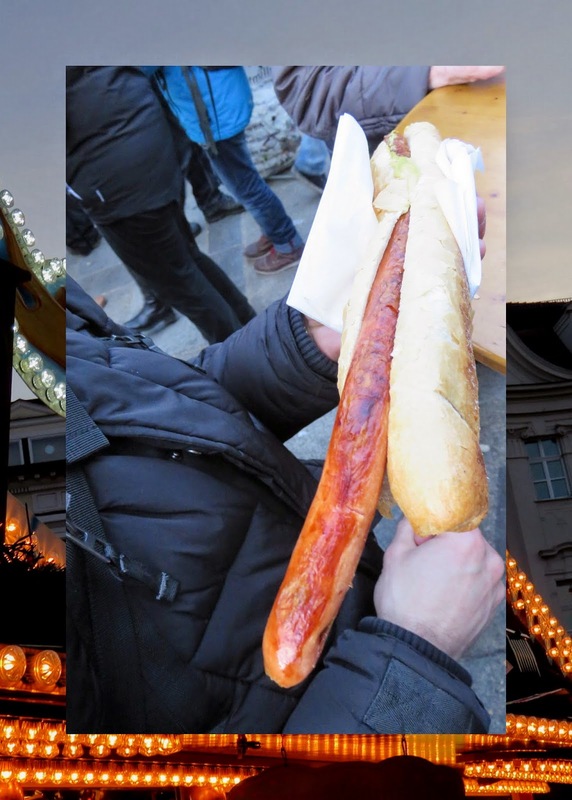 In Regensburg, it's sausage by the half-meter. That's 18 inches of deliciousness. We just had to try it. It's quite good, just a bit unwieldy in the crowded market. 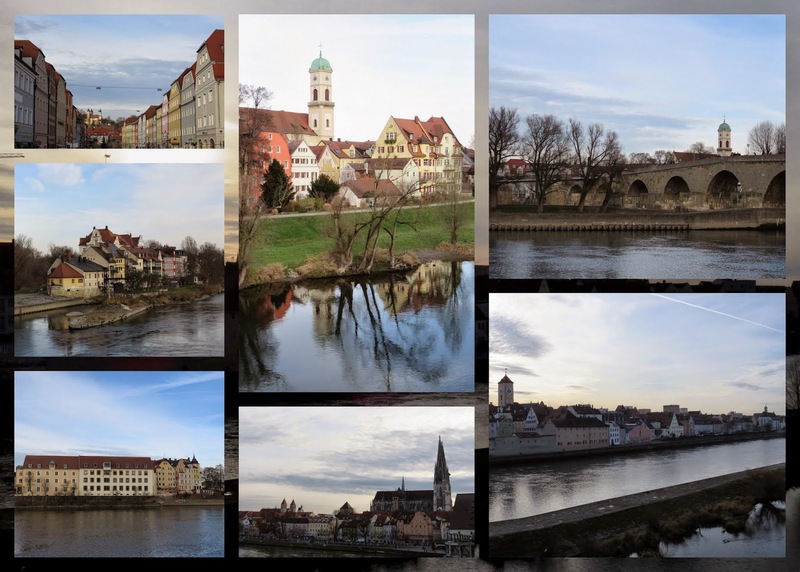 Regensburg sits on the banks of the Danube and it's possible to take a walk along and across the river. The sun was shining so we took the opportunity to explore. Gorgeous! In most German cities, the Cathedral features prominently and once again Regensburg is no exception. When visiting in winter, the Dom is a good place to go to warm up slightly while exploring. 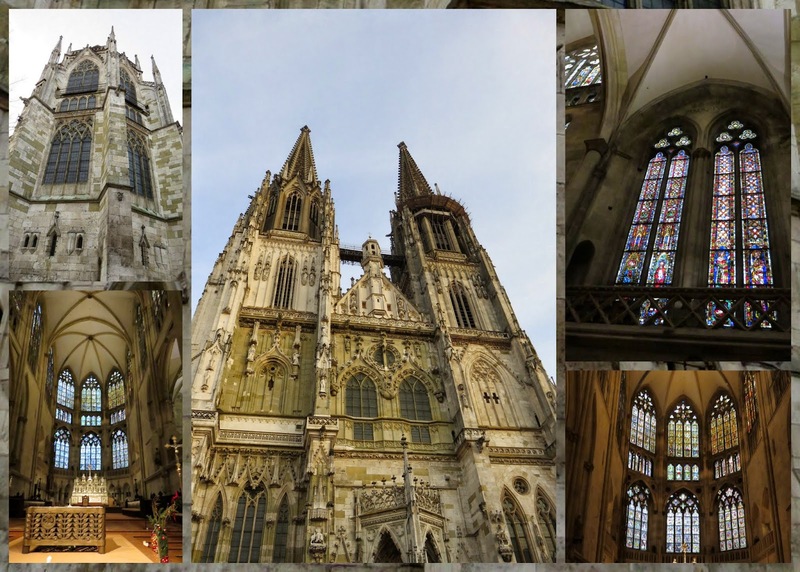 We admired the Regensburg cathedral inside and out in all its Gothic glory. Sometimes it's the little details that are most memorable about a new city. For me, Regensburg's quirky statues made me smile. 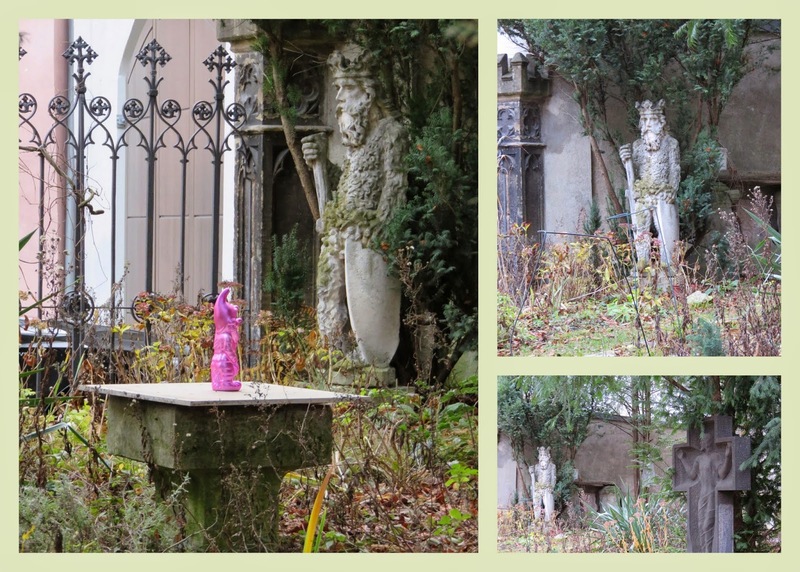 I saw this little hot-pink gnome in the church yard behind the Dom. He sat facing a rather serious looking king. Overall, Regensburg is definitely worth a visit during Christmas market season particularly if you are looking to escape the crowds of more popular neighbor Nuremberg. 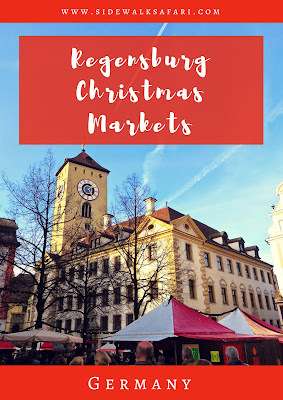 Top 10 highlights from a visit to Regensburg, Germany during the holiday season for the Christmas markets.